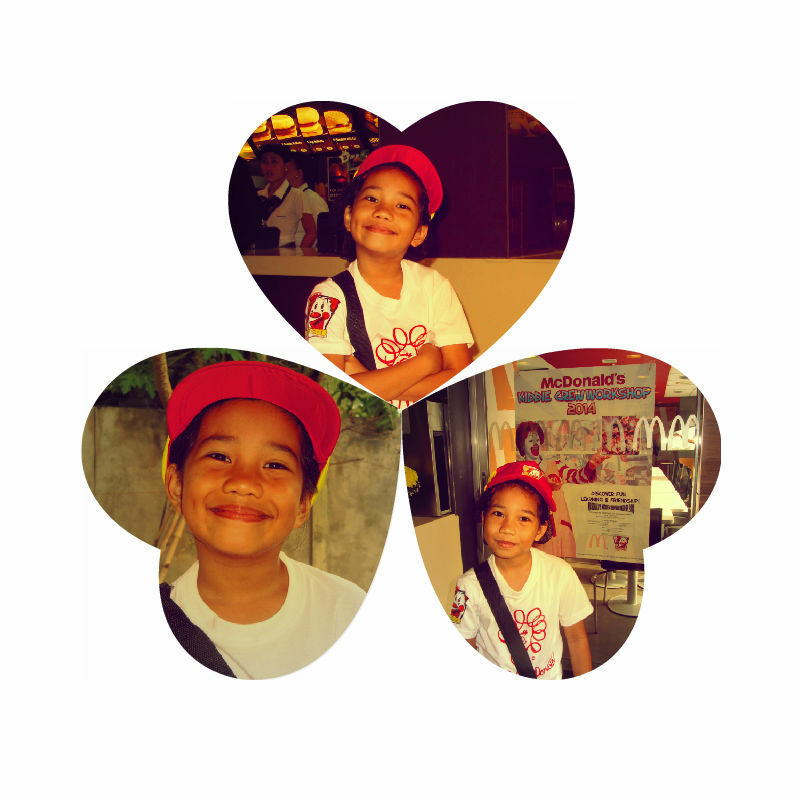 This morning was Sciezka’s official first day as a Kiddie Crew at McDonald’s BQ Tagbilaran branch. Based on her stories, she had fun but a little bit worried about the names of her batchmates. According to her, they need to memorize at least ten names of her batchmates. She mentioned some names but didn’t reach ten. She got the house – rules memorized and enumerated them to me. I asked her what house – rules meant? She explained that these were the rules they need to obey when they were in the store. She told me that she was very obedient to “Ate Zha Zha”, the marketing coordinator, because she was afraid that she would be placed inside the freezer. That was the punishment chosen by the other kids for disobedience. She was the youngest among her batchmates. She was six years old and her batchmates were nine and up. She told us that one of the kids was already a fourth year. I thought she was telling us that one of her batchmates was already in high school. But when I clarified it with her, she explained that the kid was doing the Kiddie Crew for four years already. She shared with me that one of the girls in her batch was rude but still she befriended her because one of the house rules was to be friendly. So I asked her why she thought the girl was rude. She explained that the girl asked her name so she told her her name. But when she returned the question, the girl ignore her and didn’t answer her question. My daughter added, “sinapot bigla”. So she asked the girl why she does not want her to be her friend and reminded the girl about the house rule. Medyo may kakulitan ang anak ko eh :D. The girl smiled at her. As for her uniform, went to the store last night to ask if she can wear skirt. She was allowed to wear the jogging pants instead of denim jeans but not a skirt. This was for her safety according to the general manager of the store. I asked her if “Ate Zha Zha” or anyone asked her about her uniform. Only one girl asked her why she was not wearing denim pants. She answered the girl that she was not allowed to wear pants beside she has no pants. She told me that the coordinators knew she was a Baptist. My concern with the uniform was solved. One more remaining concern, the schedule of the graduation which falls on a Sunday. I am praying that it will be moved to another day. But if God will not permit it, then daughter will not attend the graduation. At least she experienced the 5 – day workshop.